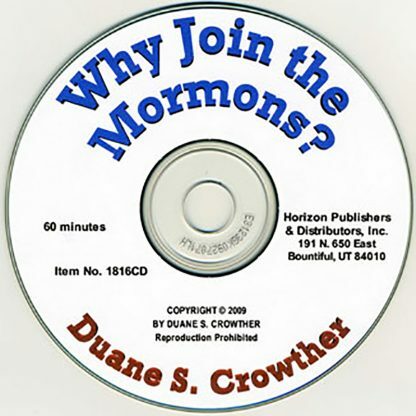 Home / PUBLICATIONS BY DUANE & JEAN CROWTHER / Duane S. Crowther / Why Join the Mormons? 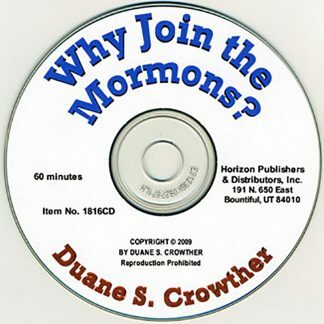 Why Join the Mormons? 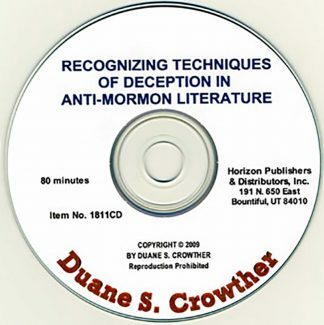 is an informative talk CD directed to potential members of The Church of Jesus Christ of Latter-day Saints, as well as to those who are already members of the Church. It focuses on the nature of a testimony, tells how a testimony is received, and shows its importance as the basis for the conversion process. The CD also reviews the blessings and obligations of Church membership, presenting them in the light of the many opportunities found in the Church’s organizations and programs. In addition, it describes the “Mormon lifestyle” as it surveys the many theological, social, economic, health and practical factors which will influence people’s lives when they enter the waters of baptism. An important feature is the comparison of sectarian viewpoints with LDS perspectives on many subjects, showing the greater depth and insights found in Mormonism. Why Join the Mormons? focuses on basics. 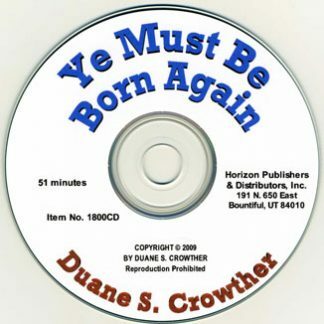 Its message is ideal for those preparing themselves to enter the waters of baptism and for those seeking a stronger basis for their personal faith. It bears a strong testimony that touches the heart.